Dr. Christian Borowski is a researcher at the Max Planck Institute for Marine Microbiology in Bremen, Germany. He has a diploma in biology and a Ph.D. in marine biology from the University of Hamburg. Germany. His work in the Department of Symbiosis at the Max Planck Institute centers around chemosynthetic symbioses at deep sea hydrothermal vents and hydrocarbon seeps, with focus on the usage of nutritional resources by symbiotic bacteria, the phylogenetic relationships of hosts and symbionts, and the genetic connectivity among geographically separated symbiotic populations on the northern and southern Mid-Atlantic Ridge. 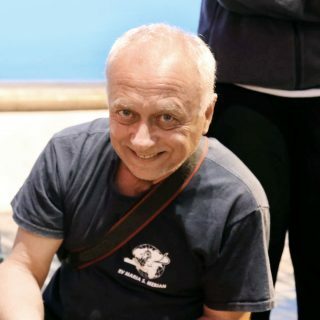 Dr. Borowski started studying deep-sea ecology 30 years ago in the framework of investigating the impact of deep-seabed mining on benthic communities in the deep Peru Basin. He has also worked on the dynamics of microbial methane formation and degradation in organic rich continental margin sediments. Dr. Borowski has spent 26 months on sea on over 30 research expeditions in the Atlantic, Pacific and Arctic Oceans, the Mediterranean, Black Sea, North Sea, and the Baltic, 4 of them as a chief scientist.